The recent wildfire in Fort McMurray, Alberta has devastated the local community. Our thoughts are with those affected by the fire and those aiding the swift response. In an effort to help responders, we’re releasing imagery of the area under an open license. The imagery is now available for download under a CC-BY-SA license. We’re also permitting tracing of the imagery on Open Street Map. Smoke shrouds Fort McMurray. Image captured by a RapidEye satellite on May 6, 2016. Labels added. Image ©2016 Planet Labs, Inc. cc-by-sa 4.0 and © OpenStreetMap contributors. 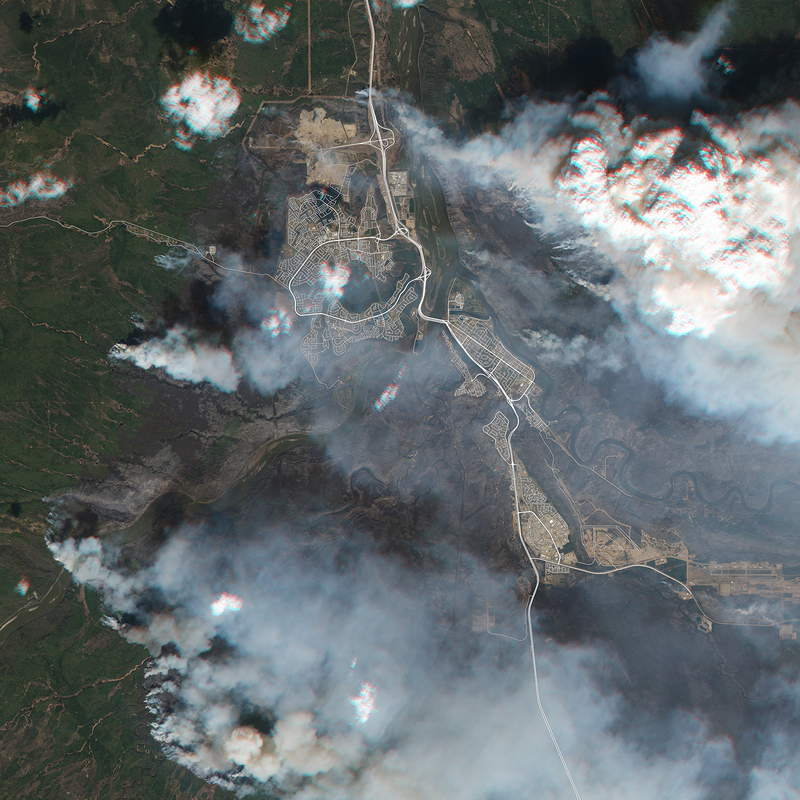 If you’re interested in contributing to relief efforts, you can download our imagery immediately from the planetlabs-disaster-response S3 bucket, 201605-Fort-McMurray folder. You can find more details and instructions here. If you’d like to browse and analyze this imagery data on Planet’s online platform (API or online browser), email disaster-response@planet.com.